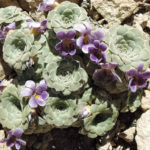 Viola columnaris is one of the rosulate Violas, which have typical “heartsease” flowers but leaves are arranged in a rosette rather like a Sempervivum. It is a tufted, perennial plant that spreads almost horizontally on the ground by means of rhizomes. 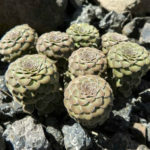 It is remarkable for its neat, tightly imbricate, tile-like rosette, taking the form of raised columns. The rosettes are up to 3.6 inches (9 cm) tall and up to 2 inches (5 cm) in diameter. 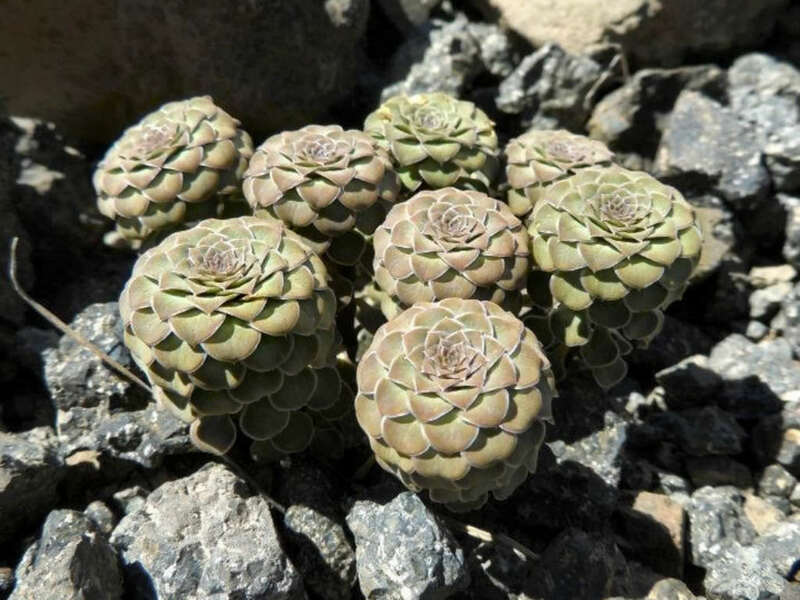 The leaves show a striking similarity in color to their background rocks and the plants are difficult to detect when not in flower. The flowers, barely emerging from the rosettes, are white with violet veins and appears in spring and in early summer. 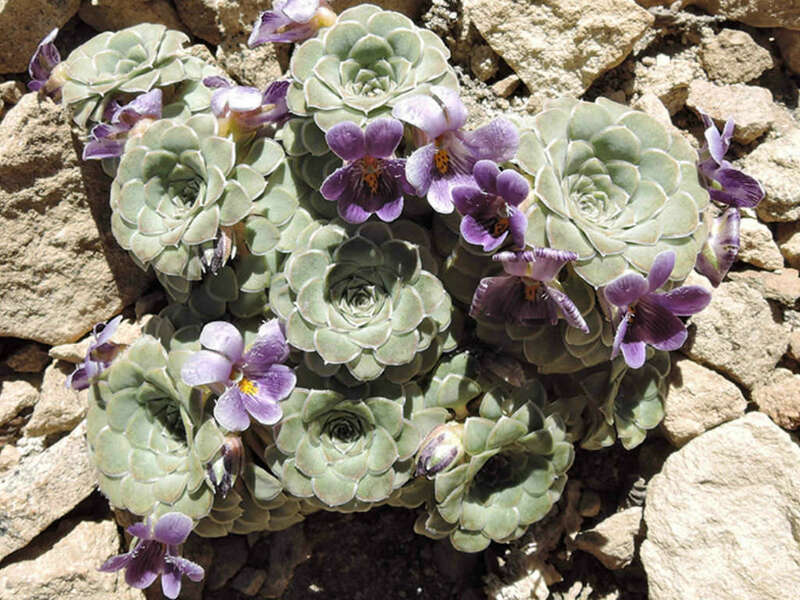 Viola columnaris is native to Argentina.